This badge was issued to Robert D Andrews on 17 Aug 2017. 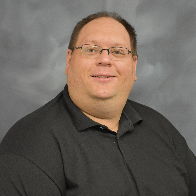 The Badge holder has consistently demonstrated a comprehensive, proficient understanding of information security technologies (data, infrastructure, application, identity) by successfully presenting and articulating how these technologies address and impact complex real world technical risks and challenges. These skills enable the badge holder to provide significant business value to their clients as a trusted information security adviser. This badge is only available for IBM employees. Demonstrate an understanding of security domains recognized as an information security core competency including: Network Security, Security Information Event Management, Incident Response, Data Security, Application Security, Identity & Access Management, Mainframe Security, Endpoint Security, Mobile Security, Cloud Security, Threat Assessments & Vulnerability Management, Encryption Technologies & Key Management. Demonstrate the ability to solution, mentor and educate team members and clients on best practices for a specific security domain (see domain list, below). This could include running seminars, speaking at events, lecturing, etc. External certifications (e.g. ISSEP/CISSP, NIST, CEH, ISAC, GIAC Sec Essentials, GIAC Forensic, CCSP, CSSLP, EC-Council, GIAC G-Pen, SANS, PCI etc.) contribute to this criterion when the candidate can demonstrate that the certification provides results to the IBM team. 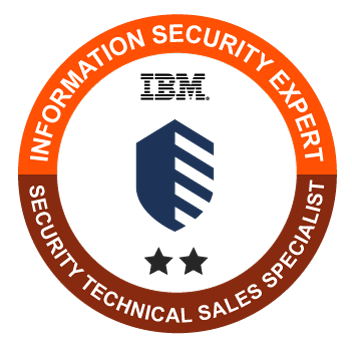 To earn the IBM Information Security Expert badge, a Technical Sales Specialist must have at least 23 points when totaling up the points associated with the domains they support. The additional information link below is accessible by IBM employees.